A baby shower is a celebration of the birth of an expected child, whereas other parents find this opportunity to reveal the gender of their unborn baby. Traditionally, a baby shower is given only for the family’s first child and only women are invited. It is also typically arranged by a close friend rather than the parents themselves. These days, however, throwing a baby shower is unnecessary as some parents would rather save the money for the big day. In our case, I planned the whole thing and doesn’t need to be expensive. Who wouldn’t love parties?!! I was 28 weeks pregnant when we had our baby shower at McDonald’s. We had so much fun as we celebrate it with exciting games and prizes! Planning a baby shower sounds so easy, but hell no. You have to come up with a good venue, food, invitations and much more. I started planning when I was 6 months pregnant. I initially wanted an intimate celebration like a spa party with my girlfriends but then I realized it would be more fun if more guests could come. 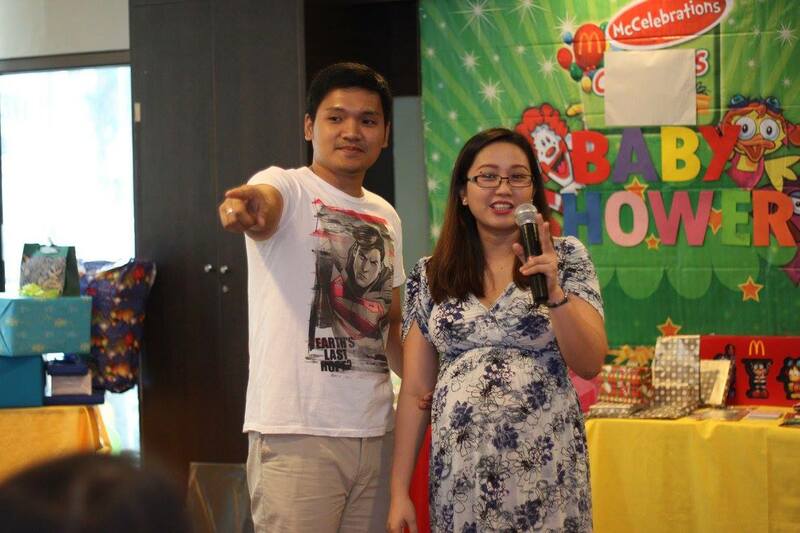 Hence, a baby shower in McDonald’s! An event is incomplete without an invitation. As a guest, I would be more excited to attend a party with a fun and quirky invites. But that also means extra cost for hiring a good graphic artist. Recently I discovered a baby shower invitation maker that makes the layout process, easier and cheaper. Paperless Post is a library of customizable whimsical invitations where you can send it online or printed on paper. Oh, how I wish I knew this before! They have tons of different layouts and here are my top favorites! This is just an option, but you can also choose from different themed party ideas you can search online. Having a themed party makes your celebration even more memorable with those color-coordinated balloons and cute centerpieces. They look great in photos too! There is Shabby Chic theme (for a baby girl) that looks so pretty and dainty or Carnival theme (for a baby boy) for a fun and festive celebration. Lastly, if you are into arts and crafts, it would be lovely to add some personal touch with some DIYs (do-it-yourself) decorations like footprint banner and tissue paper pompoms. It’s cheaper, fun to do and of course, it’s a labor of love!